Want to make a statement on the Paradise Valley streets? Get behind the wheel of the new Jaguar F-TYPE convertible. With a luxe interior, stunning performance, and high-tech amenities, you’ll have access to everything you could possibly desire from a sports car. 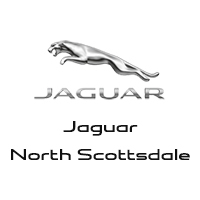 Explore the new Jaguar F-TYPE inventory available at Jaguar North Scottsdale, and then visit the dealership to take advantage of our current offers. We appreciate your interest in our inventory, and apologize we do not have model details displaying on the website at this time. Please fill the form out below and our team will quickly respond, or, please call us at (855) 559-3222 for more information.